SOLD Analogue mixer with SSL MADI & SSL DAW Card. 16 Channel Audient summing mixer with DAW control 16 Class A mic pre-Amps and motorized faders plus, stereo compressor on mix bus. 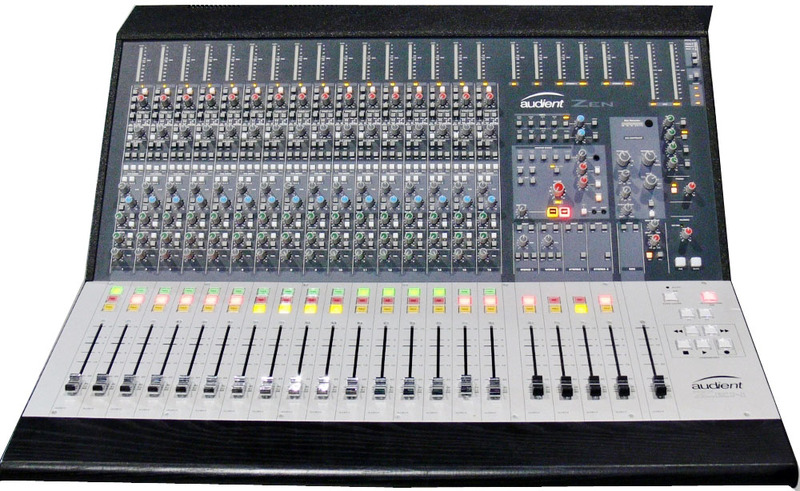 The Audient Zen is a very versatile desk providing high quality audio source and summing. The ZEN desk has 16 channels each with a choice of 3 inputs, Mic, Line & DAW, it also comes with optional moving fader automation. The console has 16 inputs and 16 direct outputs plus 4 subgroup outputs.